BEEFEATER PINK®, the first gin in the U.S. naturally flavored with hints of strawberry for a new generation of gin drinkers. A refreshing and delicately sweet natural strawberry flavors with soft juniper and citrus finish for a finely balanced contemporary gin. Gin Journeys is a collection created for the optimum Gin experience. Steeped in history with inspiration being drawn from Waterford’s heritage to gin, dating back to the Victorian era. Waterford’s striking range of gin glasses have been designed with tasting experts to help enrich the aromas and infuse the flavors of the botanicals. The Aras Balloon glass set of two are rounded with a short stem, perfect for gins with a high alcohol content, due to their bowl-like shape trapping the aromas inside the glass and allowing the spirit more room to breathe. Featuring striking vertical cuts these glasses allow enough space for garnishes and ice for the perfect gin cocktail or iced beverage. Capturing Waterford’s rich Irish heritage and the trend in craft gins and sophisticated gin cocktails, this set blends old and new creating a fresh appreciation of this classic spirit. BEEFEATER PINK® is a delicious, easy to drink and fun naturally strawberry flavored gin and first in the US. A contemporary twist on the world's most awarded gin with a hint of strawberry, BEEFEATER PINK® has a classic soft juniper and citrus finish and is distilled from the original Beefeater London Dry recipe the only London Dry Gin still made in the heart of London today. 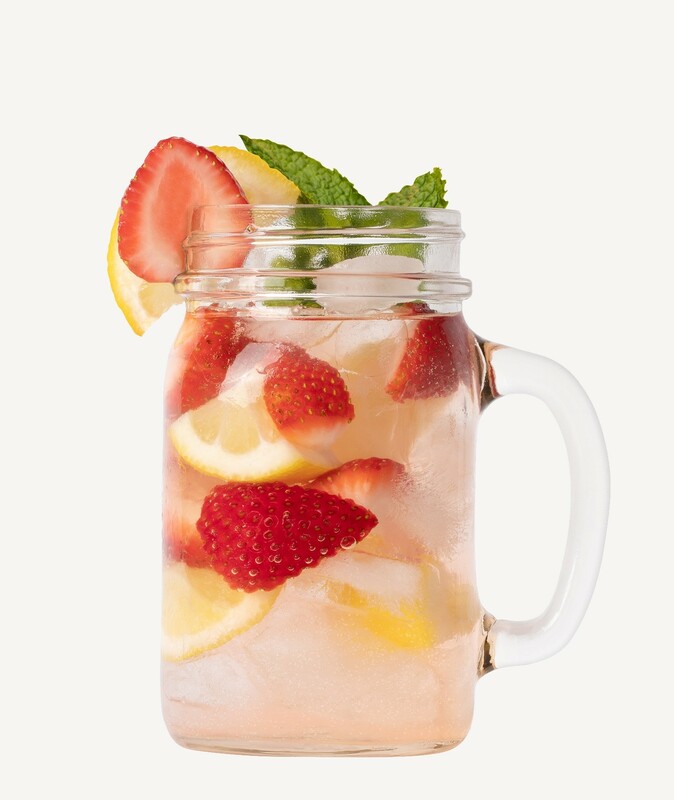 Combine ingredients, garnish with strawberry and lemon and enjoy.